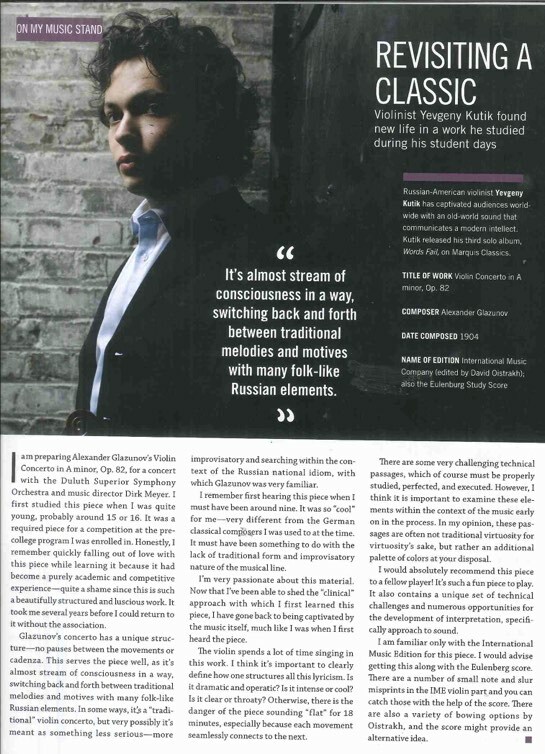 Cover story highlights Yevgeny’s new album Meditations on Family. WPR’s The Midday host Norman welcomes violinist Yevgeny Kutik and pianist Christopher Taylor to the WPR performance studio in Madison. Listen to the interview/performance here. 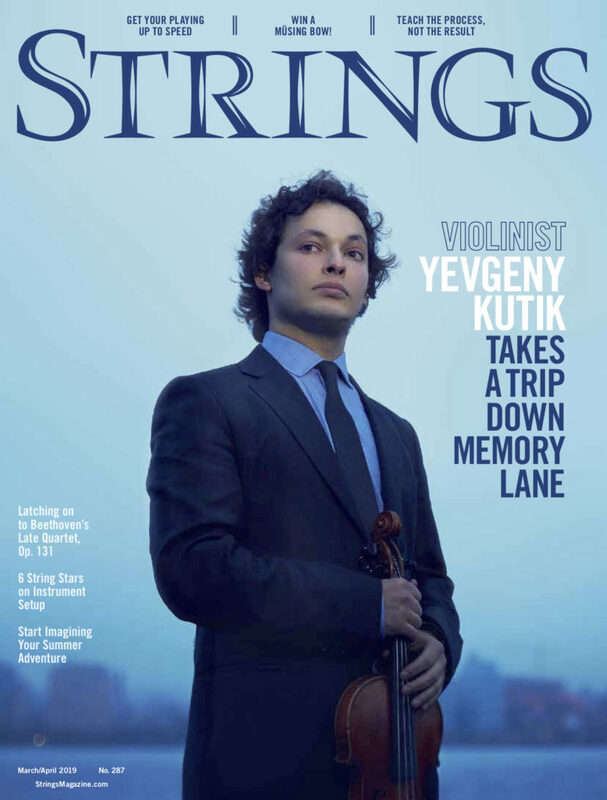 “[Yevgeny Kutik] seemed to feel the music in his bones. 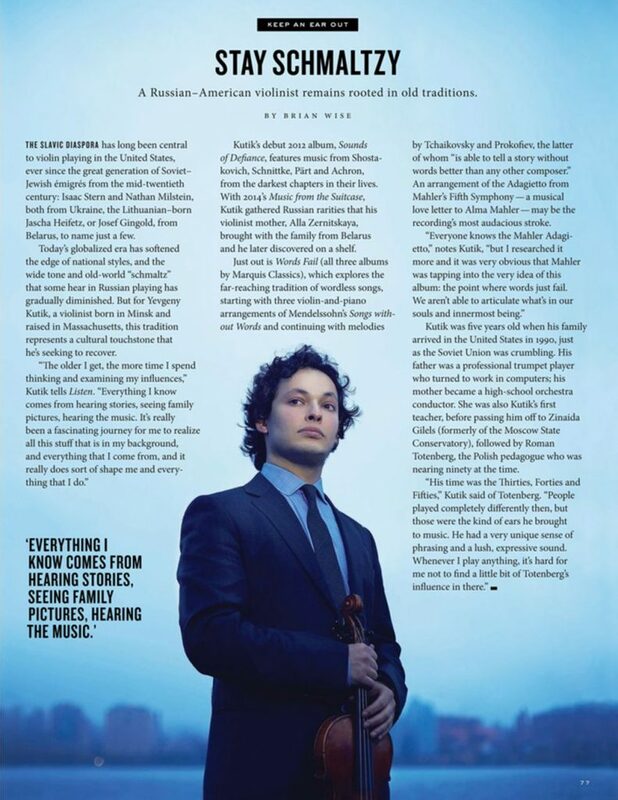 Well-backed by the orchestra, he brought lyrical warmth to the neo-romanticism of the first two movements and flew through the perpetual-motion finale with nimble fingers and variety of effect. The large audience rewarded him with an enthusiastic ovation.” Read the full review here.